Cleaning adverts bombard us daily and many of us have a cupboard full of bottles and sprays promising to make our lives easier. But our research shows that many of us have been tempted to buy one, only to leave it unopened at the back of the cupboard. We put this question to our members and over half (who are at least partly responsible for cleaning) admitted to having at least one unused cleaning product at home. Products people have spent money on but have never used range from surface wipes to furniture polish. Make sure you don’t waste your money on cleaning products. From washing detergent to dishwasher detergent, our unique tests reveal the products that actually work – and it’s not always the most expensive that are the best. To save yourself elbow grease and money, click to see our Best Buy cleaning products. We asked over 1,000 Which? members about how they buy and use cleaning products. The most commonly owned but never used cleaning product is oven cleaner – with 17% having bought it but not got round to using it. So if your friend’s a Which? member, you might want to think twice about that dinner invitation. 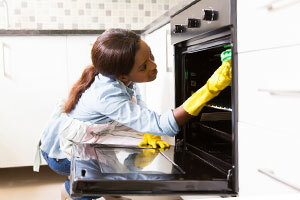 Interestingly, members also told us that the toughest cleaning task they face is the oven. You can make this easier on yourself. Leave a tray in the bottom to catch drips if you’re cooking something that’s likely to bubble over. And clean the oven more regularly, before the grime has a chance to build up. Carpet/upholstery stain remover is the next most owned-but-unused product (16%). 14% own but don’t use furniture polish, followed by 13% who have mildew remover but leave it untouched. And 9% say they’ve never used surface wipes they have bought. By contrast, the most commonly-used cleaning product is toilet bleach, used by 78% on a regular basis. Besides finding out which products are being used more or less each year, we test the essential cleaning products that we know consumers are using every day: washing-up liquid, laundry detergent and dishwasher tablets. In 2014 we tested 42 different products to separate the Best Buys from the Don’t Buys, and help you find the best product for keeping your laundry spotless or your dishes sparkling. To help you find the best products for your needs and your budget, head straight to our Best Buy supermarket offers.